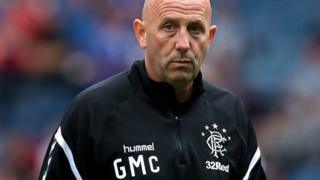 McAllister, who is Steven Gerrard's assistant at Rangers, is said to be recovering at home in North Yorkshire, according to The Sun newspaper. In the Facebook post, Matteo described the attack as "totally unprovoked and very vicious". He added: "The attacker is thought to be American, and due to the severity of the injuries may have been wearing a 'knuckle duster' or similar." McAllister won 57 caps for Scotland and captained the team to the Euro '96 finals. Det Insp James Entwistle, of Leeds District CID, said: "The initial report was that a man, aged in his 50s, was stood outside a bar when a man approached him and punched him in the face causing injuries that required hospital treatment.